Hugh Little, Senior Director in the Advisory & Transaction Services – Occupier team, has extensive experience of working across multiple clients, sectors & geographies and continually delivering great account & transaction management solutions & service excellence to occupier focused businesses. He has 13 years of complete experience working in the Corporate Real Estate sector. 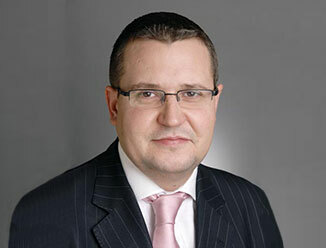 Hugh Little is responsible for leading CBRE’s Transaction Management business in South East Asia. He is focused on further developing CBRE’s business platform across South East Asia and overseeing delivery to all our corporate clients. In addition to this, Hugh is also a Regional Account Director APAC for Shell Retail East Region. He is the key focal point for all operational activities within south-east Asia containing approx. 2,500 Retail Service Stations across 6 countries. The main services provided under the contract are Portfolio Management, Transaction Management, Lease Administration, and Strategic Consulting. Hugh is fully accountable for all aspects of the end to end service delivery model. Prior to relocating to Singapore in 2015, Hugh was based in CBRE London offices for 8 years. During his time in EMEA, Hugh worked with a broad range of multi-national clients with a particular emphasis in the Technology and Media Services sectors. Hugh was the EMEA Account manager for Johnson & Johnson (J&J) with direct responsibility for running & operation of the account and delivery of transaction services, workplace strategy, consulting, and project management. Prior to working on J&J, Hugh worked on the global Nokia account for 4 years in a number of roles including Operations Lead & EMEA Account Director. As Operations Lead, Hugh managed a global team of 20 people in delivering a number of services to include Transactions, Lease Administration and Project Management. Hugh also supported the global roll out of Nokia’s owned retail store concept.